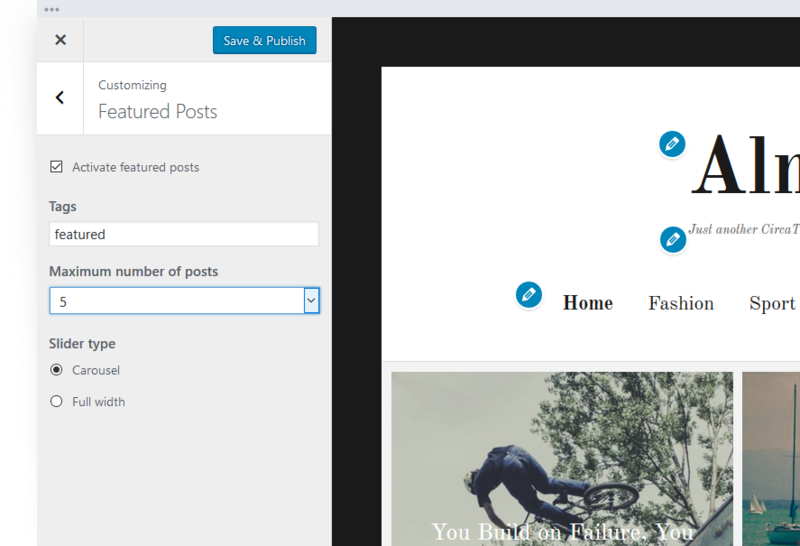 Display multiple featured posts as a large hero image or as an awesome slider. 4 footer widget areas and an entire sidebar are available to share your best content with site visitors. 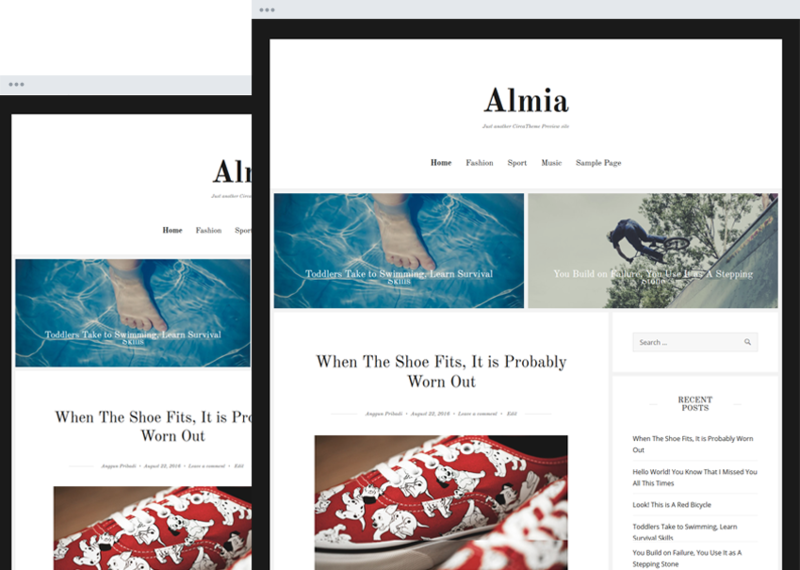 Almia, opening the door for your creativity and content to shine. Conveying a minimal feel for those who want to explore real emotion through their high-quality content and powerful imagery. Upload a beautiful header image, or randomize between uploads for an impressive, visual appeal. Left, right, and sticky sidebars are available to meet y our individual needs.